April 13, 2015 – United Launch Alliance (ULA) unveiled its Next Generation Launch System (NGLS) today at the 31st Space Symposium. The new rocket, Vulcan, will transform the future of space by making launch services more affordable and accessible. 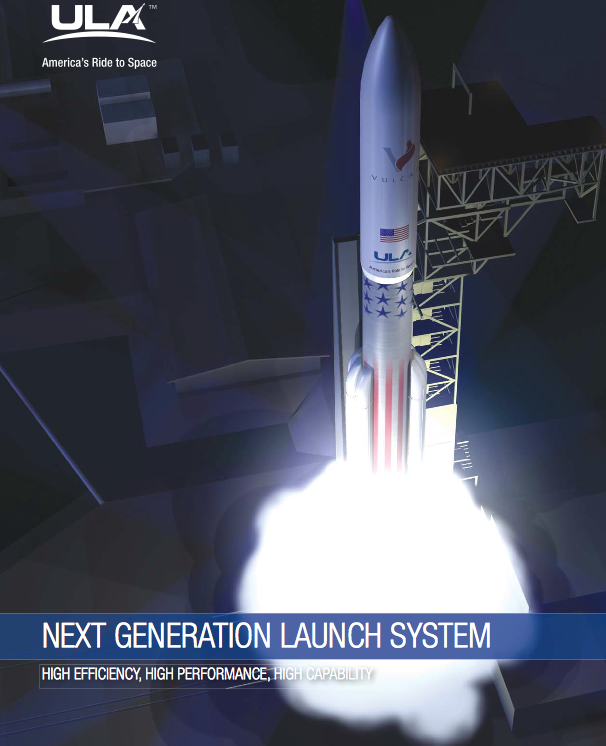 The NGLS brings together decades of experience on ULA’s reliable Atlas and Delta vehicles, combining the best features of each to produce an all-new, American-made rocket that will enable mission success from low Earth orbit all the way to Pluto.